It was a day like no other at Liaison College of Culinary Arts in Downtown Toronto. Caryn Goldin, A.K.A. The Entomo Chef, ventured across Ontario from a town just outside of Peterborough to bring a special ingredient to the Liaison kitchen. 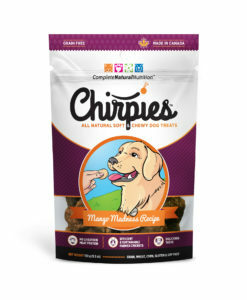 The special ingredient is crickets. That’s right, crickets… both in powdered form and whole, oven-roasted. 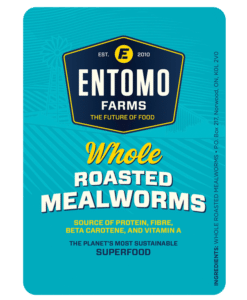 The Entomo Chef works for Entomo Farms, North America’s largest cricket farm for human consumption. 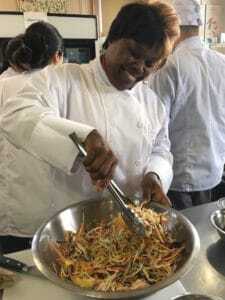 She is a self-proclaimed chef, and for good reason as she spends countless hours doing what she loves most; cooking and baking delicious, healthy and nutritious food for friends and family. 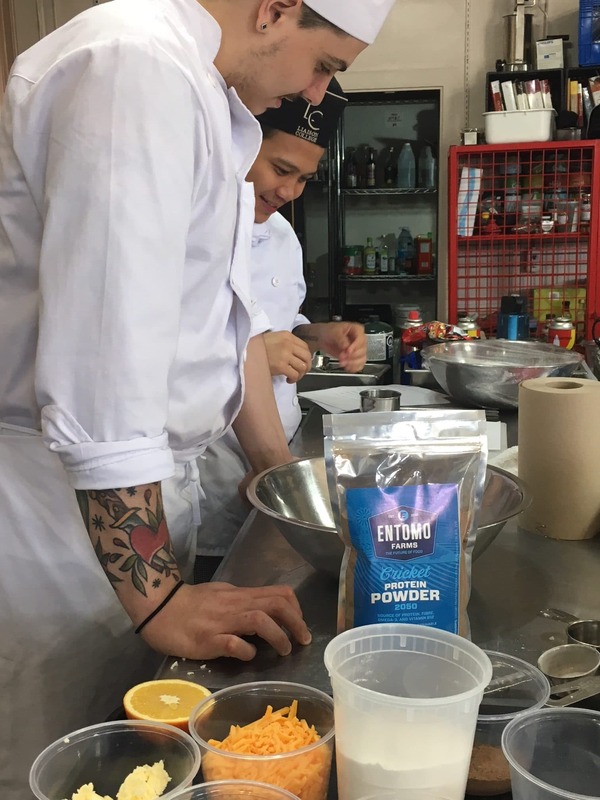 Goldin has been exploring the wonders of infusing insects like crickets, mealworms and waxworms into her dishes for 4 years, and now travels across Ontario to teach other chefs and chefs-to-be how to get the most out of this ingredient. 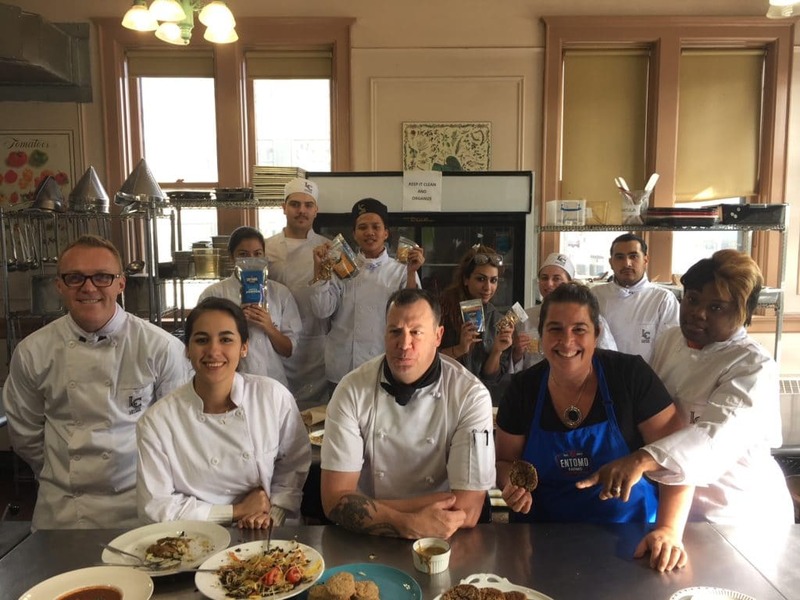 With the guidance of Chef Daniela Castellano, Director of Admission for Liaison College of Culinary Arts, and Chef Tony Way, Goldin spent a full morning with the students at the college, where they had a few hours to explore and discover this brand new ingredient. Liaison, operating since 1996, is Ontario’s largest trainer of chefs and cooks, and has seen over 10,000 students graduate from their programs and go on to careers in the hospitality industry. They are viewed as a cutting edge culinary institute and the directors and chefs are dedicated to the culinary arts, have competed in international contests, have worked for and with top chefs. 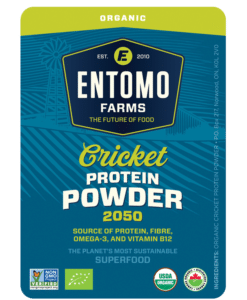 Castellano (Chef Dani), understands the importance of introducing her students to nutritious, sustainable ingredients, so when she was approached by Entomo Farms to bring crickets for the students to discover, she hopped at the chance (pardon the pun). 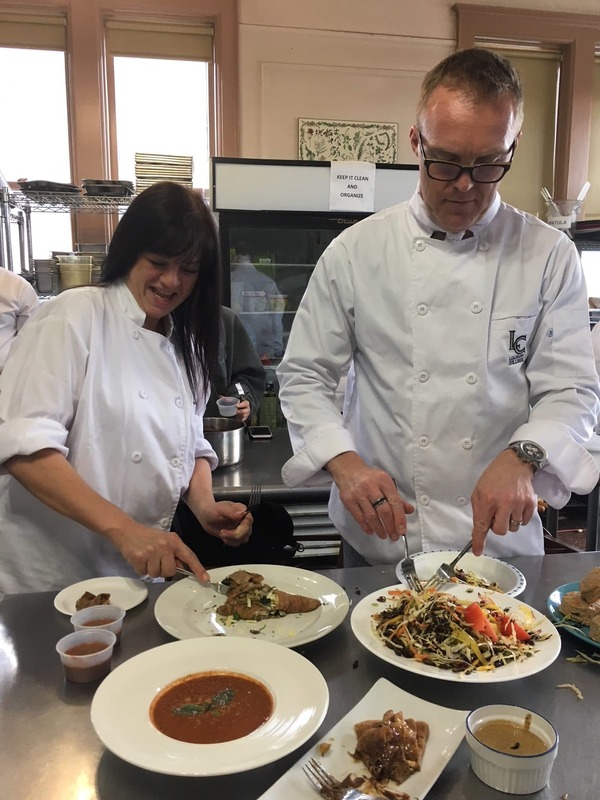 Chef Dani, Chef Tony, Chef Caryn and the students were thrilled with the experience, and created some incredible cricket based dishes using both the whole oven-roasted crickets and the cricket powder. This entry was posted in Blog and tagged cook healthy, cook with crickets, cooking with crickets, cricket flour, cricket powder, eat clean, eat crickets, edible crickets, Entomophagy, future of food, healthy eating, healthy food, keto, kid food, kid snacks, paleo, sustainable food.